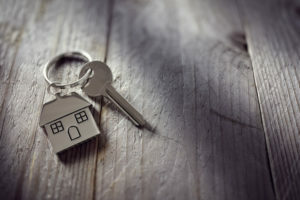 For as long as mortgages have been in existence, people have argued the benefits and drawbacks of owning a home versus renting a home. There are good points to each one, and there are some pitfalls to each, as well. However, at the end of the day, if you’re keeping your financial future in mind, owning a home is the way to go. There are countless millions of Americans who have never owned a home and who believe renting is the best way to enjoy life. There are certainly plenty of perks when it comes to renting a home. You don’t have to pay the insurance on the house, though you should always purchase renter’s insurance. You are not responsible for any major repairs, either, so if the foundation cracks or if the furnace goes out, the properly owner is responsible for it. Perhaps the biggest argument for renting a home, particular in some of the biggest, nicest neighborhoods in the country, is the fact that the renter doesn’t pay property taxes. That’s all on the owner. All the renter has to do is pay the rent and enjoy. On the other hand, there are countless millions of Americans who claim that renting is the same as throwing money away. You spend thousands of dollars each year in rent, and at the end of that year, you have absolutely nothing to show for it. If you’re buying your home, you are indeed responsible for the home insurance, the repairs, and the property taxes, too. However, it is your home, and every single payment you make goes toward building equity. This equity could be your financial freedom when you reach retirement age, too. Though you are responsible for more throughout your life, you will have one of the biggest investments of them all at the end of your mortgage – real estate. Which One is the Best for You? There are benefits to renting, and there are benefits for buying a home. Which one is right for you? Renting is a great idea for anyone who is saving money, and it can even be a good idea for families who are trying to repair their credit and put themselves in a position to buy a house in the future. However, if you are financially stable enough to buy a home, and especially if you have the ability to make the 20% down payment, there is no argument that buying a house is the better of the two options. Renting can absolve you from some responsibilities, but the truth is that rent payments are designed to help cover the cost of things like insurance and property taxes. The property owner considers these things when calculating the monthly rent, and there’s a very good chance that, at the end of your lease, your rent is going to climb significantly – especially if insurance or taxes go up during that lease. That’s why rent in a major city can be double (or more) the cost of a mortgage payment. The ages old debate over renting versus owning is one that will likely never die. Simply put, if you’re able to buy a home and you have steady, reliable income, you should buy a home to help secure your financial future. However, if you are not quite there yet, renting is a great option to help you fix your credit and save your down payment. This entry was posted in Blog and tagged own, rent by Scott Li. Bookmark the permalink.